Recently, Mount Pleasant, NY, and surrounding areas have been under a water advisory for HAA’s (Haloacetic Acids) in the water supply. If you live anywhere in the Mount Pleasant or surrounding areas of the Hudson Valley, including Troy, Saratoga Springs, Scotia, or Newburgh, it may be worth it to get your water tested. What’s The Health Risks of Haloacetic Acids? Side effects of HAA’s in water can include birth defects, skin inflammation and irritation, and have caused cancer in lab animals. Recently, the town of Mount Pleasant has been talking with water experts, searching for solutions to reduce the level of HAA’s in the water. While granulated carbon filters have been known to reduce the presence of haloacetic acids in a home’s water supply, a water test may reveal the amount of HAA’s or other contaminants that you may not know existed. The Mount Pleasant, NY area is not the first to deal with haloacetic acid contamination in water. New Jersey recently dealt with water that had been contaminated by elevated levels of HAAs, putting large populations of the state, specifically Newark residents, at increased risk for certain cancers. 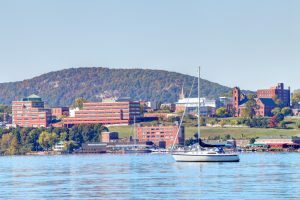 Massachusetts and West Virginia have also each dealt with recent haloacetic acid issues affecting their respective reservoirs. How Can Culligan Help with Haloacetic Acids? Culligan can help: our pre-filter “Big Blue” with carbon filters or automatic whole house carbon filter with long-life high-grade activated carbon coupled with a RO drinking water system removes 99% of all contamination that may be present in your water. The first step to identifying potential contaminants or toxins in your drinking water is to contact your local utility or public health department. They should be able to tell you not only what kinds of contaminants are in the water supply, but also what treatment method is being used to eliminate the health risks associated with those contaminants. You can also test water yourself with a home test kit, or arrange for a more advanced chemical test from a water expert like Culligan. Looking for a solution? 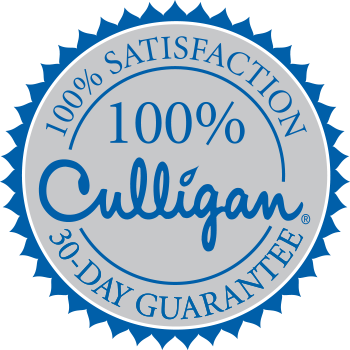 Call Culligan New England today and get a FREE water test or click FIX MY WATER TODAY to speak with a customer service representative! Hudson Valley: What Do Refrigerator Water Filters Filter Out?